ACM have been manufacturing band saws in Novellara Italy since 1979 and this expertise has been put into the 9 ranges of bandsaw on offer. Unlike many big names all ACM products are manufactured in Italy, they are not a Chinese product branded with a famous name, it is Italian manufacture and european build quality. Please Note: Band saws can be viewed and demonstrated at our warehouse by appointment, please get in touch via our contact us page to arrange a time suitable for you. This is a small range of unique machines originally made for the American market that offer capacities beyond anything else for the size of machine. 400mm – 800mm wheel dia offering motor brake or electronic brake up to 3hp then motor brake beyond 3hp, ceramic guides, mobility kits, larger hp and other option to order. Unlike other manufacturers we are able to customize a machine to your requirements, cutting height, table width, hp, guides and speed range. All done at a surprisingly competative price. These are heavier machines and because of their build can have their cutting height extended and are recommended for extra duty work. A unique machine that opens up new possibilities for industry and a high level of operator safety. Education establishments or government workshops in correctional institutions require an extra level of safety which these machines offer. This range offers the solution for not only non ferrous but for many special and difficult materials. 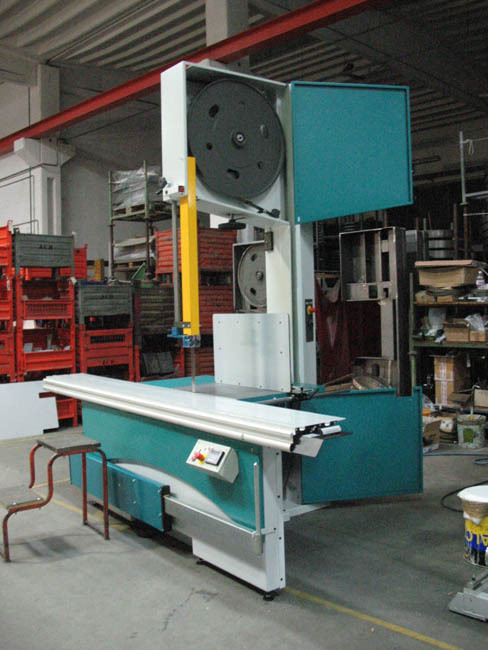 Special single speed, two speed and variable speed with the option of extended cutting heights and tables. An evolution of the summa offering even more versatility. Which can perforn surface texturing or sanding on all 4 sides in one pass. © Copyright 2015 - Present | ACM UK All rights reserved.